I find my new Lefreque perfect, I am very very happy with it! 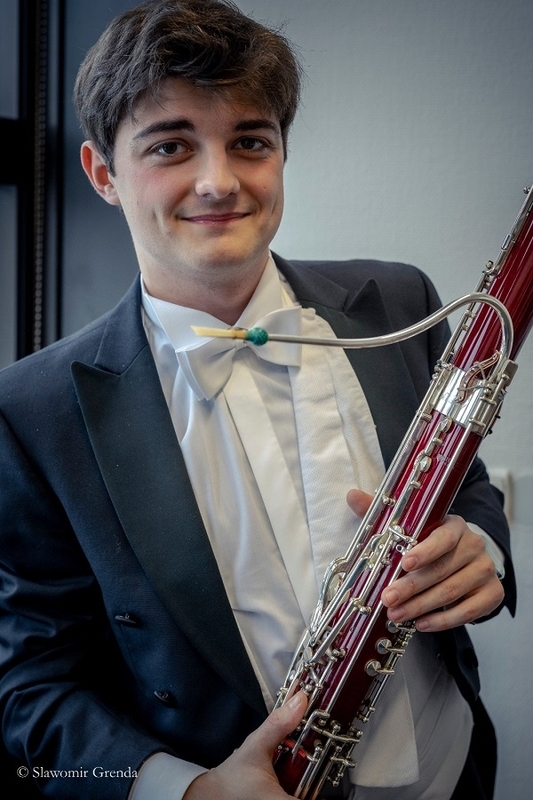 Born in Italy in 1995, Raffaele Giannotti received his first bassoon lessons at the age of ten from Antonio Vergine and Claudio Gonella. At the age of 15, he graduated with distinction from the Giuseppe Verdi Conservatory in Turin. Since 2011 he studies at the University of Music and Performing Arts Vienna under Professor Richard Galler. He received lessons from Milan Turkovic and attended master classes with Dag Jensen, Klaus Thunemann, O.K. Dahl and Lyndon Watts. Raffaele Giannotti has won numerous prizes in national and international competitions, including first prizes at the "Josef Windisch Competition", "Rising Star Award of Casino Austria", "International Competition Città di Valentino" and "Mendelssohn Cup"; second prizes at "Audi Mozart 2010", "Spring Prague"; special prize at the "Rossini Bassoon Competition", and the "U21 Special Prize" at the ARD Music Competition. Raffaele Giannotti is also a cultural prize winner of his home town Lecce in Italy. He has performed as a soloist with many orchestras including the Carbinia Symphony Orchestra, the Magna Grecia Orchestra, the Bari Symphony Orchestra, the Andreas Bello Orchestra, Collegium Musicum, the Czech Chamber Philharmonic and Orchestra Paradubice. With the Young Masters Players, he also toured as a soloist throughout Chile. Recordings have been produced by broadcasters Bayerischer Rundfunk and ORF 3. Composer Damiano Dambrosio dedicated a bassoon concert to him. Following two seasons as principal bassoonist of the Orchestra del Maggio Musicale Fiorentino from 2014 to 2016, Raffaele Giannotti joined the Munich Philharmonic in that position in 2016.